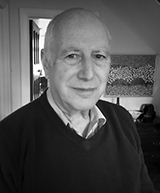 Jeffrey Newman is Rabbi Emeritus of Finchley Reform Synagogue and Adviser to the International Secretariat of www.EarthCharter.org, a systemic UN-inspired set of 16 Principles and 61 sub-principles for a just, sustainable and peaceful global society. The principles are based on Four Foundations: Care & Respect for the Community of Life; Ecological Integrity; Social & Economic Justice; Democracy, Non-Violence and Peace. Each principle & sub-principle is stated in the form of an action and the final one (16f) reads: ‘Recognize that peace is the wholeness created by right relationships with oneself, other persons, other cultures, other life, Earth, and the larger whole of which all are a part’. His expertise covers areas of personal and community development (with a background in Jungian psychology, Human Social Functioining & NLP), interfaith projects, education – formal and informal – and philosophy. Jeffrey has a particular interest in cultural heritage, libraries and museums. He is concerned with the underpinning of TEST in these areas and how the Earth Charter may be used to ‘map’ TEST’s development. He is married, with three children and three grandchildren.